The fight opens on Aichi's turn, riding from Prairie Wind, Sagramore (6000) to Knight of Divine Skill, Gareth (8000). Kamui rides from Beast God, White Tiger (5000) to the Screamin and Dancin' Announcer, Shout (7000), moving Tiger to his left front rearguard circle. He then calls two Almighty Reporters (6000) as boosters. Kamui first attacks with Tiger boosted by Reporter (11000), using Reporter's skill to return it to his hand when Tiger's attack hits. Aichi damage checks Weapons Dealer, Gwydion (DT +5000 Draw 1) giving the effect to his vanguard (13000) and drawing 1 card. Shout (13000) drive checks Genocide Jack, and the second Reporter returns to his hand. Aichi rides the Knight of Divine Skill, Bohman (10000) then calls Assaulting Chariot Knight (9000) with Chargegal (6000) as Bohman's booster. Chariot Knight attacks, gaining +3000 power due to Aichi's hand being lower than Kamui's. Kamui damage checks Prometheus (CT +5000 +1 Critical) giving all effects to his vanguard (13000.) Bohman (16000) drive checks the Vanquishing Knight, Hougang. Kamui rides Marvelous Honey (7000), calling Genocide Jack (11000) and two Almighty Reporters (6000) as boosters for Tiger and Honey. Kamui counterblasts 1 to rev Jack into full gear, then attacks with him. Aichi guards with Weapons Dealer, Gwydion (S15000). Marvelous Honey (13000) is guarded by Elixir Sommelier (S20000) but drive checks a new, unidentified stand trigger (ST +5000 Stand 1), standing Jack and giving the power to White Tiger. White Tiger (16000) attacks, and Aichi damage checks Silent Punisher (CT +5000 +1 Critical) giving all effects to his vanguard (S15000). Almighty Reporter returns to Kamui's hand. Genocide Jack retires Assaulting Chariot Knight. 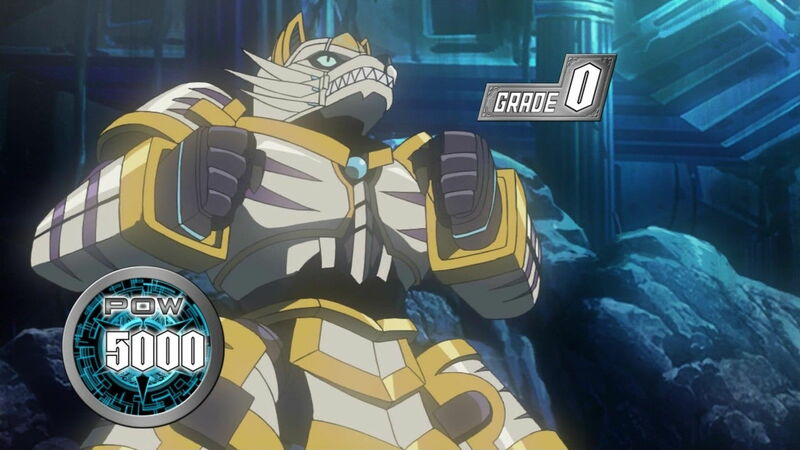 Aichi rides the Great Silver Wolf, Garmall (10000) and counterblasts 2 to superior call the Sacred Guardian Beast, Nemea Lion (8000.) He then calls Storm of the Battlefield, Sagramore (10000). Nemea is guarded by Almighty Reporter (S12000). Chargegal boosts Garmall; Sendou soulblasts Sagramore to activate Chargegal's skill, giving Garmall +4000 power in addition to Chargegal's boost. Garmall (210000) twin drives into the Knight of Divine Skill, Bohman and Weapons Dealer, Gwydion (DT +5000 Draw 1), giving the power to Sagramore and drawing one card. Aichi counterblasts 1 for Sagramore as he attacks, giving it +3000 power (18000), and Kamui damage checks Tough Boy. Kamui rides Asura Kaiser (11000) then moves White Tiger to the back and calls Moai the Great (10000), as well as Tough Boy (8000) for Jack's support and Almighty Reporter (6000) for Asura Kaiser. Genocide Jack (18000) is guarded by Nemea's especial intercept (S20000). 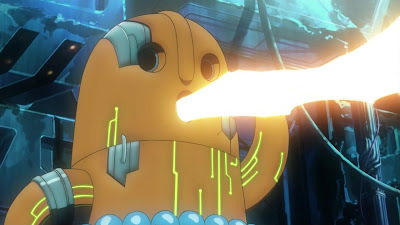 Asura Kaiser twin drives into Moai the Great and Asura Kaiser, using his Kaiser's skill to stand both Genocide Jack and Tough Boy. Almighty Reporter returns to Katsuragi's hand. Aichi damage checks Vanquishing Knight, Hougang. Genocide Jack attacks once more, and Aichi damage checks Assaulting Chariot Knight. Moai the Great gains +2000 power when boosted by a Nova Grappler (17000 total), but Aichi guards with Haugang and Gwydion (S20000). 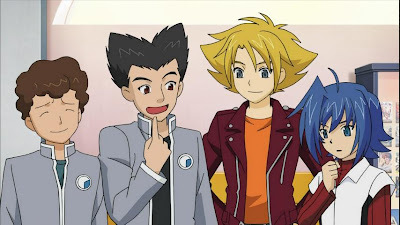 Aichi calls Bohman (10000) with Gareth (8000) as his support, then Blessing Owl (6000) for Sagramore, using Blessing's skill to give Sagramore +2000 power. 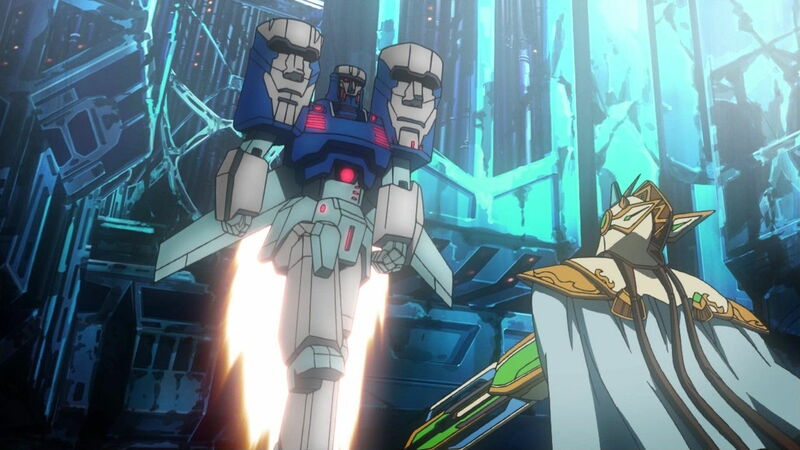 Bohman (18000) is guarded by Kamui's new stand trigger (S21000). Garmall attacks with Chargegal's skill soulblasting Gareth for +4000 additional power, and limit breaks for +5000 power (26000). The Great Silver Wolf twin drives into Slaygal Double-Edge and Elixir Sommelier (HT +5000 Heal 1), giving the power to Sagramore (17000) and healing one damage. Kamui damage checks Genocide Jack. Boosted by Blessing Owl, Sagramore counterblasts 1 for +3000 additional power (21000); Kamui damage checks Death Army Guy. 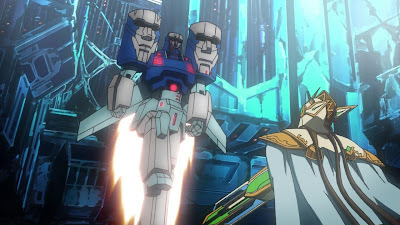 Story Synopsis: Aichi, Shin, Misaki, Morikawa and Izaki marvel over the invitation to the VF Circuit, a competition where fighters from all across the world will gather. Aichi asks the manager to let them participate; however, Shin points out that Aichi needs to assemble two more members for Team Q4, as the team has not technically been established since the end of the previous national. The rules of the invitation are that it extends to the team it is given, so the final lineup to attend the Circuit must consist of at least 1 original member--the other two can be anybody. Misaki quickly agrees at his request, but Sendou is shocked to learn that Kamui has left to join Team Handsome. Returning to Handsome's shop for the first time in a year, Aichi shows Kamui the invitation. Although filled with dreams of glory, Kamui is obligated to stay with his current teammates and participate in the domestic competition. Daimonji Gouki makes Aichi an offer; if he can best both Gouki and Nagisa in a fight, then Kamui will be able to join Q4 at the Circuit. Instead of Gouki or Nagisa challenging Aichi however, Kamui insists on going against his former captain himself. During their fight, Kamui gets a sense of deja vu, but can't place just what's wrong with this fight. 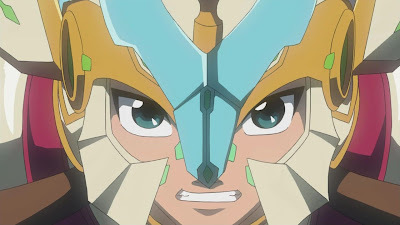 Sendou surprises them all with his Garmall's limit break skill. Defeated but excited to see the Circuit with his own eyes, Katsuragi is relinquished to Q4. 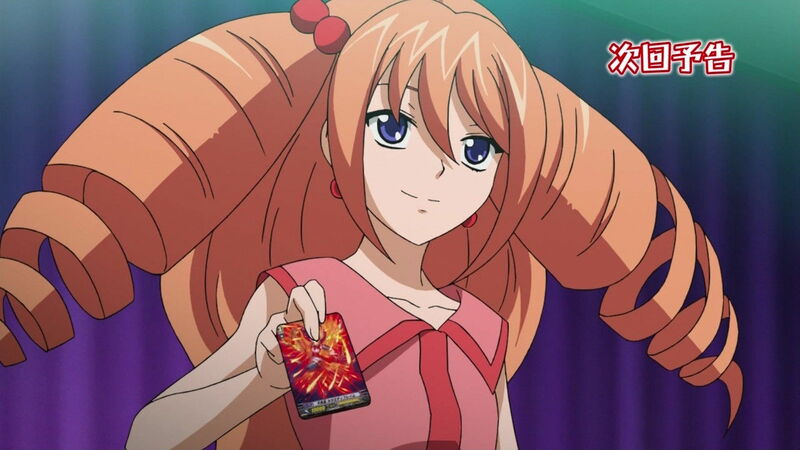 Important note: The episode preview shows Rekka cardfighting Misaki in ride 69, using the Angel Feather clan. The grade 3 unit she checks is not one of the revealed Angel Feathers that we know of; its name contains kanji not present in Adriel or Gunieru and it doesn't resemble Feather Palace or Kiriel in the slightest. The katakana in the name appears to read "Calamity Flame" but this is from squinting at pixels.